Kodi is an open source and free software designed with home entertainment. It provides access to all kinds of content, including videos and music. Kodi is available on almost every device you can think of, including your TV, OS X, Linux, Windows, phone, tablet, even the Raspberry Pi microcomputer. Kodi comes with its own user interface and works with both local and network storage services you're already using. There are also some third-party add-ons you can use to enhance your Kodi experience. If you're looking for a way to access and stream content like movies, television shows, photos, and music, to all the devices in your home, Kodi is a winner. But if you try to get music from Spotify to Kodi, then you failed. That's because Kodi can only play your media files saved on the local hard drive, but it won't play the music from your music streaming apps, such as Spotify. On the other hand, Spotify is also a music streaming service, which can only allow Premium members to stream music for offline listening. However, the streaming files are not individually stored songs. 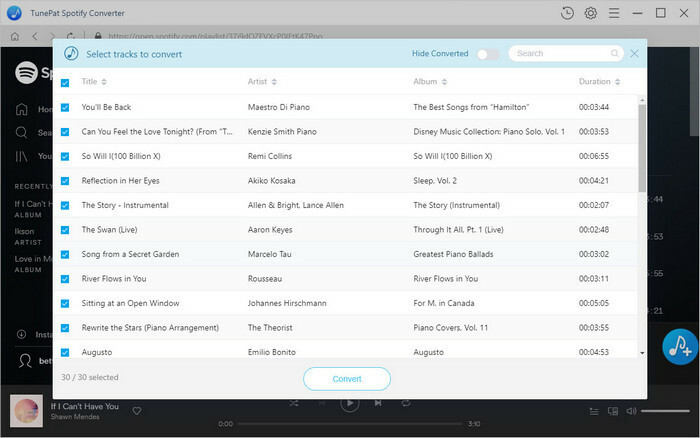 They are encrypted by DRM protection, so it would not be possible to transfer Spotify songs to Kodi. In order to play Spotify songs on Kodi, you should turn up to the third-party Spotify converter which can remove DRM from Spotify music and convert Spotify songs to Kodi compatible formats, like MP3 or AAC. And then you can add the converted Spotify Music to Kodi freely. TunePat Spotify Converter is an especially effective tool for you. 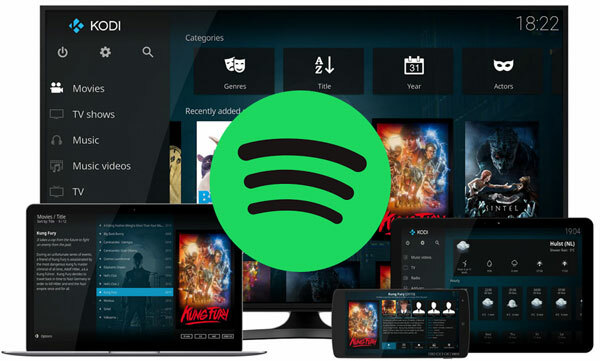 It is designed to get rid of DRM from Spotify songs, playlists or albums, and convert them to Kodi supported MP3 and AAC formats, meaning you can add Spotify songs to all your devices and access your content whenever and wherever you are. TunePat is also an extraordinary Spotify downloader. With built-in Spotify Web Player, you can easily download music from Spotify for offline listening even if you are Spotify Free users. You can run the program on both macOS and Windows. 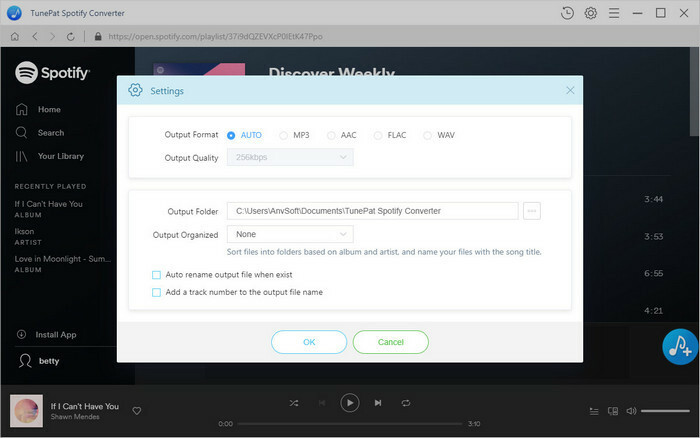 The following is a step-by-step guide on how to remove DRM and convert Spotify music to Kodi supported audio formats by using TunePat Spotify Converter. 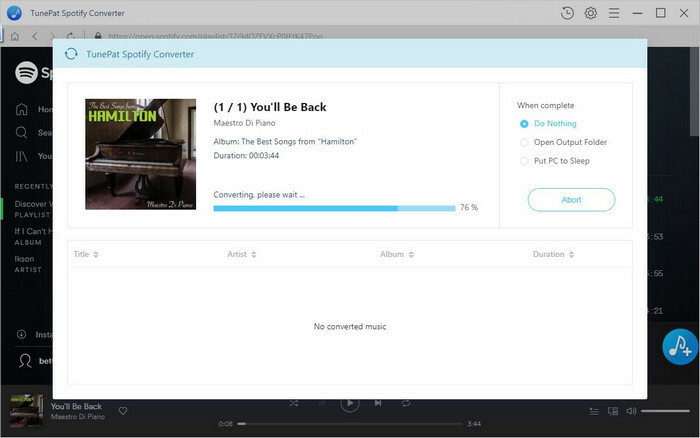 Before we started, we need to download and install the latest version of TunePat Spotify Converter on the computer. Step 1. Choose Kodi Compatible Output Format. Double click the desktop icon to open the program, click button at the right bottom corner, the Settings window will pop up automatically. Now you can set the output format as MP3 or AAC for Kodi. By the way, you can also customize other output parameters like Output Quality as you need. Step 2. Choose Spotify Songs and Add to TunePat. Step 3. Start to Convert Spotify Music to Kodi. After finishing all settings above, you can click Convert button to start the Spotify Music conversion process. When the conversion finished, you can find the converted Spotify files on the history folder. Now you can add those converted Spotify songs to Kodi for playback. Here is how to add the converted Spotify music to Kodi. 1. Open Kodi and take a look at the left side of your screen and click on Music. 2. Select the Enter Files Section on the main panel. Next, click on Add Music…. 3. A new pop-up should appear, named Add Music Sources. Within the pop-up, click on Browse. 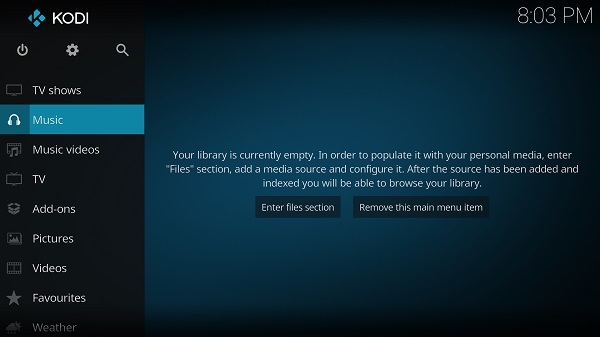 Now you can locate the converted Spotify Music folder and import it into the Kodi. Return to your Music library, you will find all your converted Spotify songs should immediately start to appear in Kodi. Now you can play Spotify songs on Kodi with no limit.